Kemi Adeyemi is Assistant Professor of Gender, Women & Sexuality Studies at the University of Washington. She is currently writing her book, Making New Grounds: Black Queer Women’s Geographies of Neoliberalism, which explores the sonic, affective, and embodied methods black queer women have for taking pleasure in the neoliberal city, and she is in the process of co-editing Queer Nightlife, a collection that documents the diverse expressions of queer nightlife worldwide. Adeyemi’s writing has or will appear in GLQ: a journal of lesbian and gay studies, Women & Performance, Transgender Studies Quarterly, Gulf Coast: A Journal of Literature and Fine Arts, and QED: A Journal of GLBTQ Worldmaking. She has contributed exhibition essays for Tschabalala Self (Seattle), This is Not a Gun (Los Angeles), black is a color (Los Angeles), Impractical Weaving Suggestions (Madison), and Endless Flight (Chicago); and writings on artists including taisha paggett, Liz Mputu, Adee Robinson, Brendan Fernandes, Oli Rodriguez, and Indira Allegra. Adeyemi co-curated the unstable objects exhibition at The Alice Gallery in 2017 and is curating Amina Ross’ October 2019 solo show at Ditch Projects. 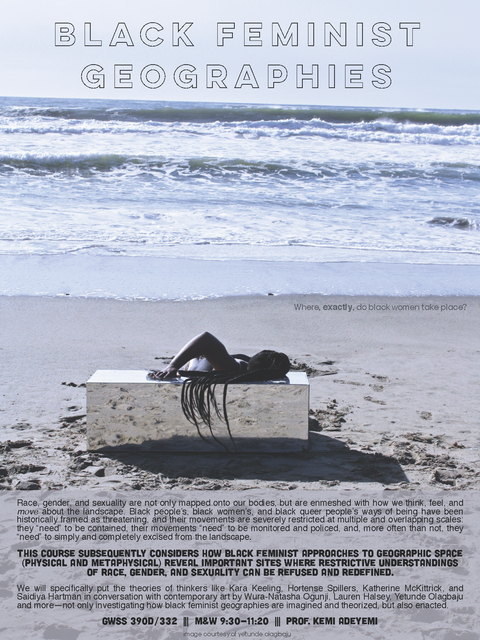 Adeyemi is Director of The Black Embodiments Studio, a writing residency dedicated to developing arts criticism that queries how definitions of blackness are produced and expressed through visual, aural, and affective realms—engaging three domains that underwrite the physical and metaphysical dimensions of inhabiting black skin.